I don’t know about you, but I like to eat my way through a hangover. Food needs to be greasy, salty, and pack a punch. Oh, and there also needs to be cheese. And eggs. So after a stellar night on the red wine with some old school chums, when I was still feeling in need of some comfort at 6pm, I pulled together this badboy. 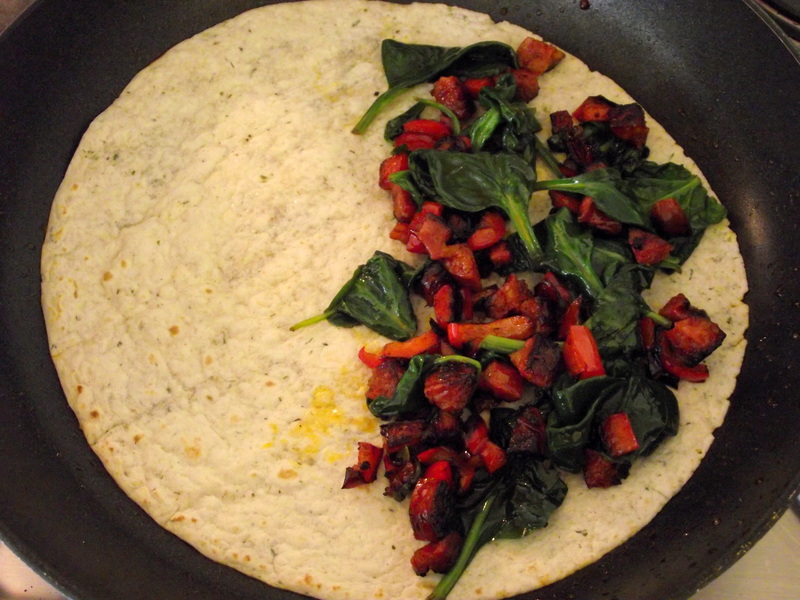 It’s got everything you need – cheese, chorizo for spiciness, and red pepper and spinach for much-needed vitamins and iron. If you’ve got tomatoes and mushrooms in the fridge, throw them in as well. 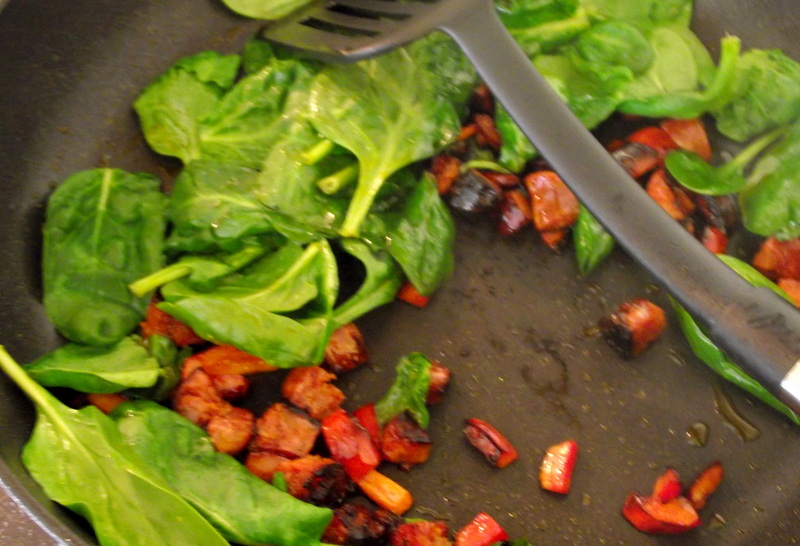 Start by frying diced chorizo and pepper until the pepper is soft and the chorizo crispy. Then throw in a handful of spinach and leave to wilt for a bit. 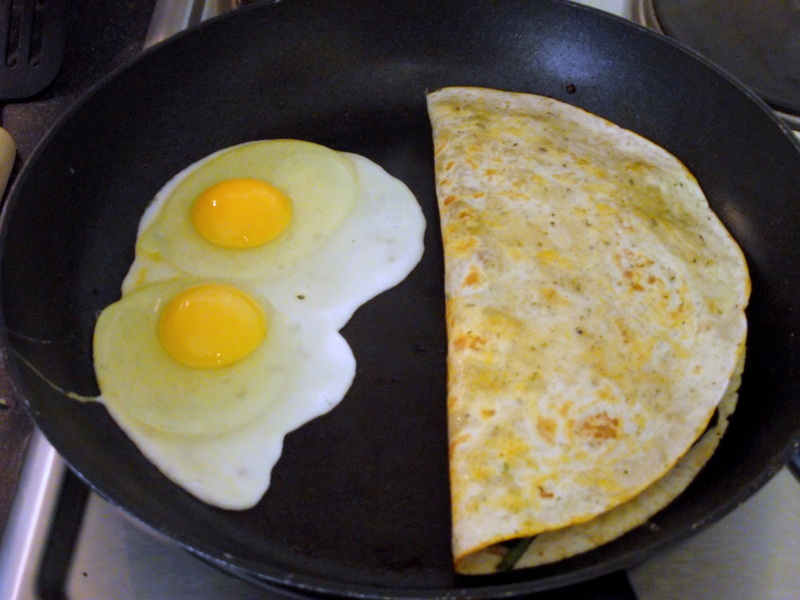 Remove from the pan and put a tortilla in there. 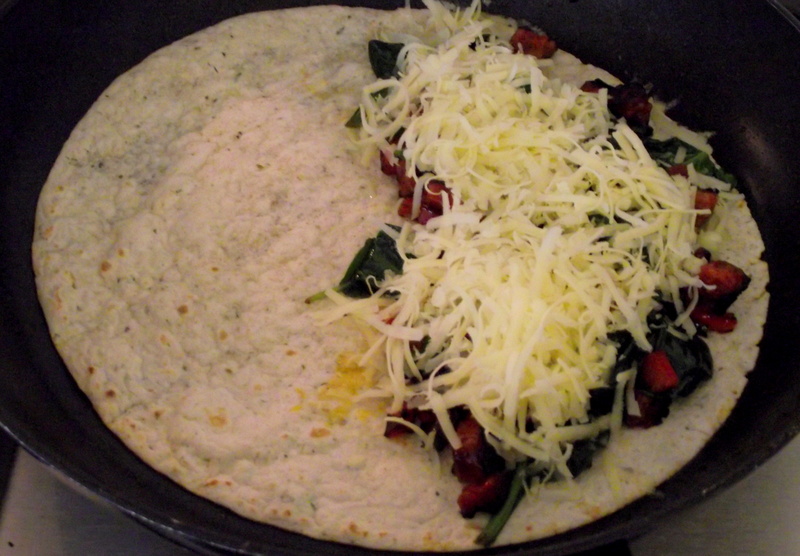 Arrange your fried mix on one side and top with LOTS of cheese. 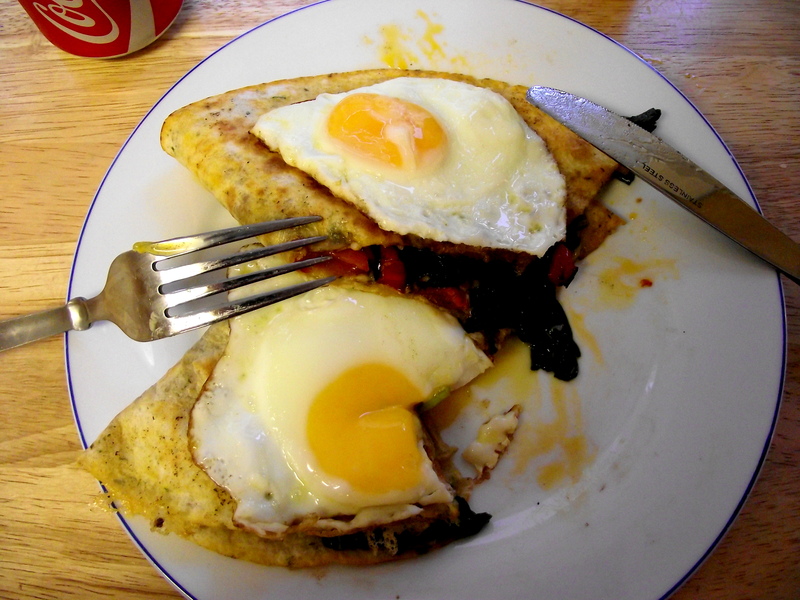 Fold over, and get started with some fried eggs whilst the tortilla crisps up and the cheese melts. 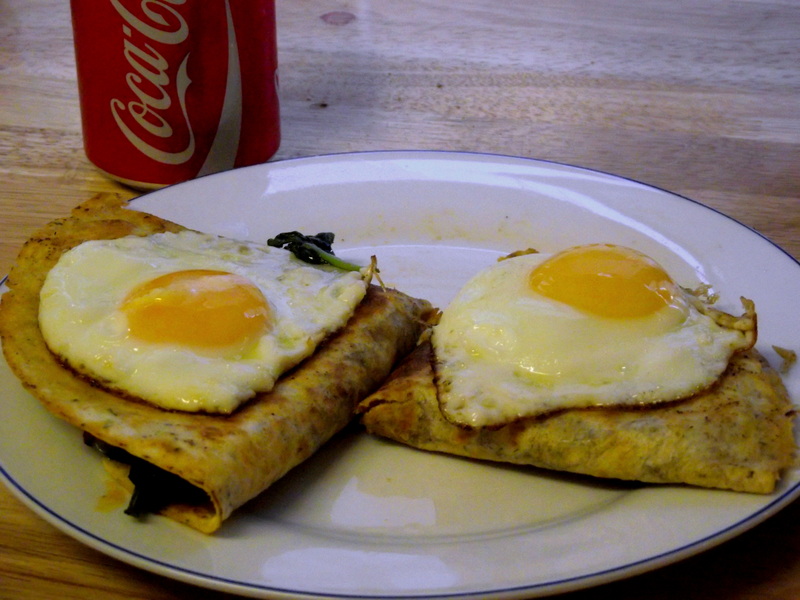 Once browned on both sides, serve with eggs on top and a full fat coke. Preferably in front of some rubbish TV.